The clinics daily schedule will combine classroom lessons with on the water exercises offering healthy competition and is followed up with debriefing of tactical and strategy situations. Sailors will receive individual attention both on the water and with video analysis. Depending on the venue the day will start with a physical training warm up session, sometimes before breakfast, sometimes after. These physical training sessions will be conducted by our in-house fitness coaches, with care being taken that the exercises are suitable for that age group and to ensure the safety of the sailors taking part in the sessions. 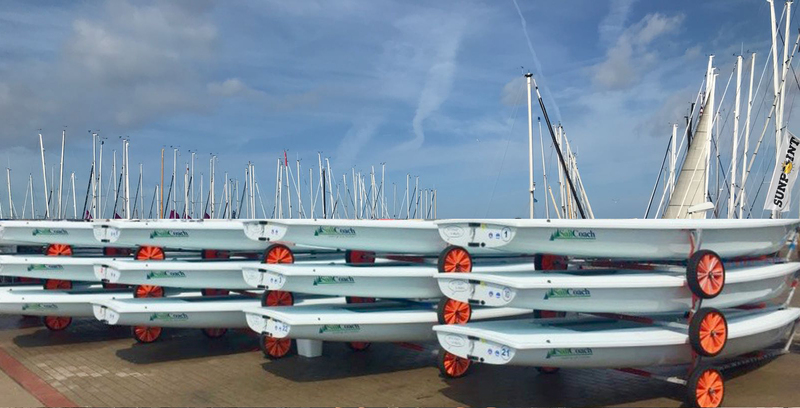 This will be followed by a briefing on what the coach plans for the days sailing sessions, pointing out the areas where the coach intends to focus, taking into consideration for the prevailing weather conditions. After lunch, there will be a debrief on the morning session followed by a briefing for the afternoon session. Depending on the venue and the weather forecast the coach may decide to run one longer session instead of two shorter sessions. The fitness coach will take control of the group again after sailing, running a cool down session which sometimes involves an ice bath or swims. Again, depending on the venue there will be a debrief on the day’s activities either before or after dinner. There will be some time set aside in the evening to relax before bed… the next day it starts all over again! Arrive at Malta Airport between 08:00 hrs and 22:00hrs and be met by one of SailCoach’s friendly staff. 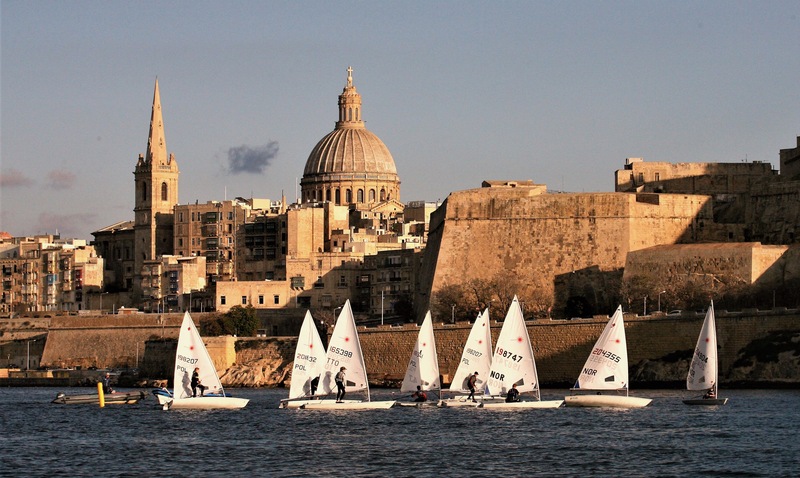 They will take you to the Royal Malta Yacht Club, the venue for this 4.7 Highfliers Clinic. 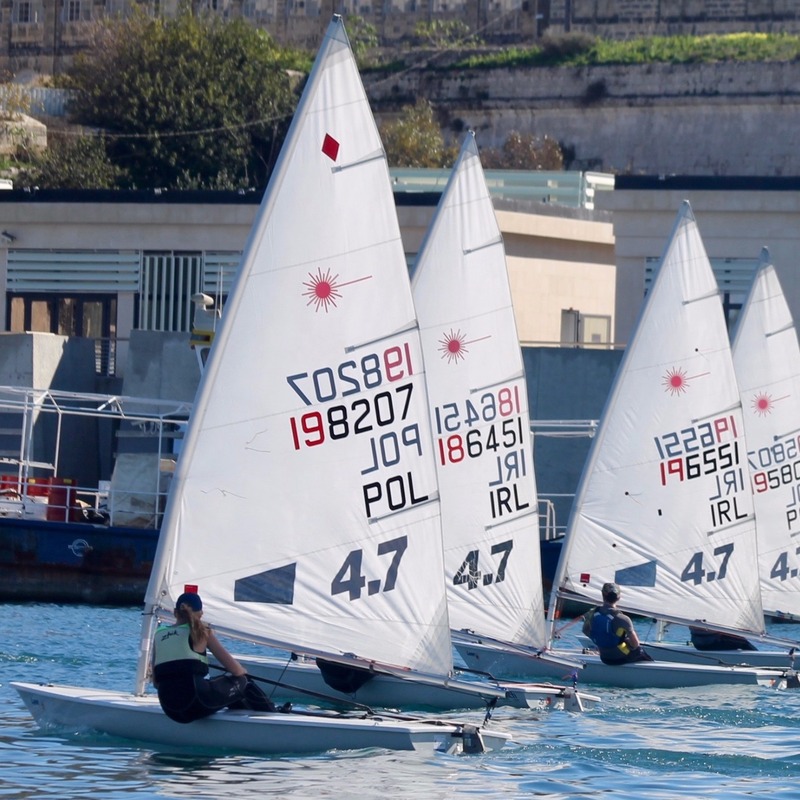 The 4.7 Highfliers Clinic daily schedule will start each morning with a group briefing at 10:00hrs in the Royal Malta Yacht Club and finishing at 17:00hrs. For this 4.7 Highfliers Clinic which will take place at our Malta SailBase, at the Royal Malta Yacht Club, Ta Xbiex Seafront, between the 27th June (arrival day) and the 4th of July (departure day), we have put together a total package price including, accommodation with breakfast and evening meal included, airport transfers on our set arrival and departure dates from Malta Airport, fitness training, and our world class coaching. On top of this, you would need to budget for Laser charter (200€), flights, lunchtime meal and pocket money. We offer free airport transfers on the designated days, (transfers outside these days and times will cost 20€).